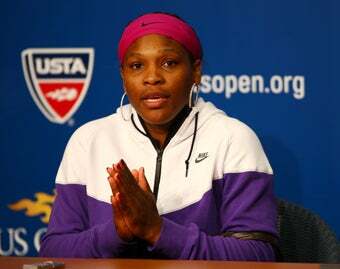 I want to amend my press statement of yesterday, and want to make it clear as possible - I want to sincerely apologize FIRST to the lines woman, the USTA, and mostly tennis fans everywhere for my inappropriate outburst. I'm a woman of great pride, faith and integrity, and I admit when I'm wrong. I need to make it clear to all young people that I handled myself inappropriately and it's not the way to act — win or lose, good call or bad call in any sport, in any manner. I like to lead by example. We all learn from experiences both good and bad, I will learn and grow from this, and be a better person as a result. As mentioned earlier, Williams is being fined $10,000 and an investigation is under way to determine whether there should be additional punishment.